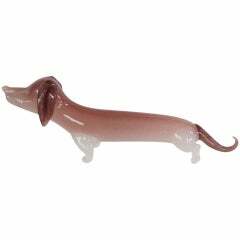 Charming Murano glass daschund decanter. 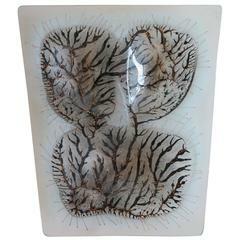 An unusual glass charger by Michael and Frances Higgins, circa 1950s. 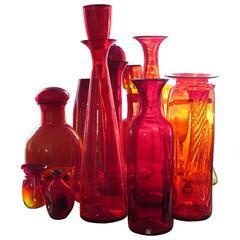 A collection of large, red-orange Blenko pieces, largest measuring 33.25&quot; H.
An unusual, glass block lamp by Daum, France, 1970's. A great array. 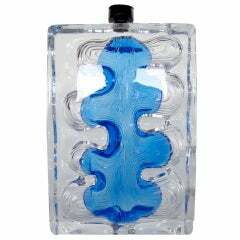 Most with paper labels. 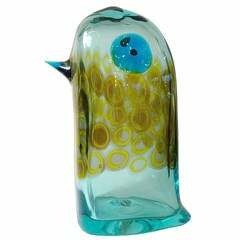 Please call gallery for individual pricing.